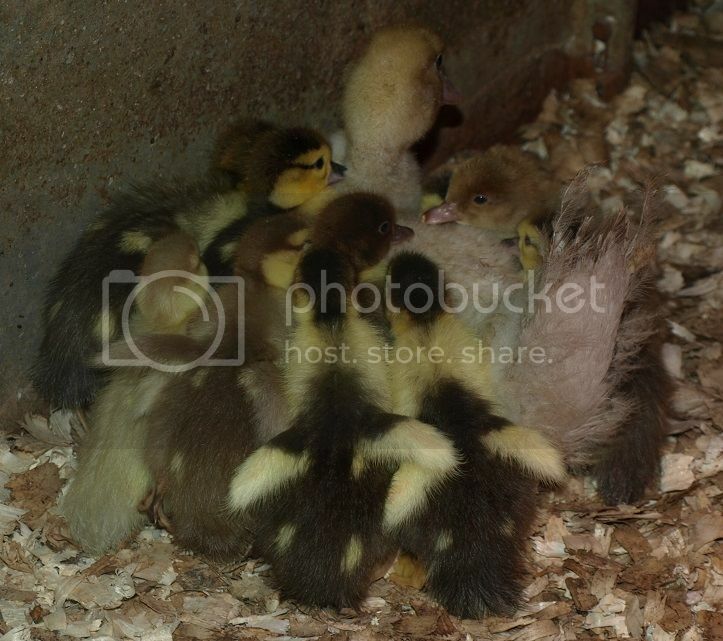 I have a batch of ducklings that just hatched yesterday. All of my adult birds are solid coloured, with no white other than on the wing bars. The father of these guys was a blue that carried chocolate, mothers (two hens on one nest) are black and lilac. Got a variety of colours of ducklings as expected, but was expecting all solid colours, and it almost seems that a few of the ducklings have odd yellow patches almost like they will be pied or something. You can see the two on the right with their wings up, they have yellow wings and yellow from their heads down their necks. 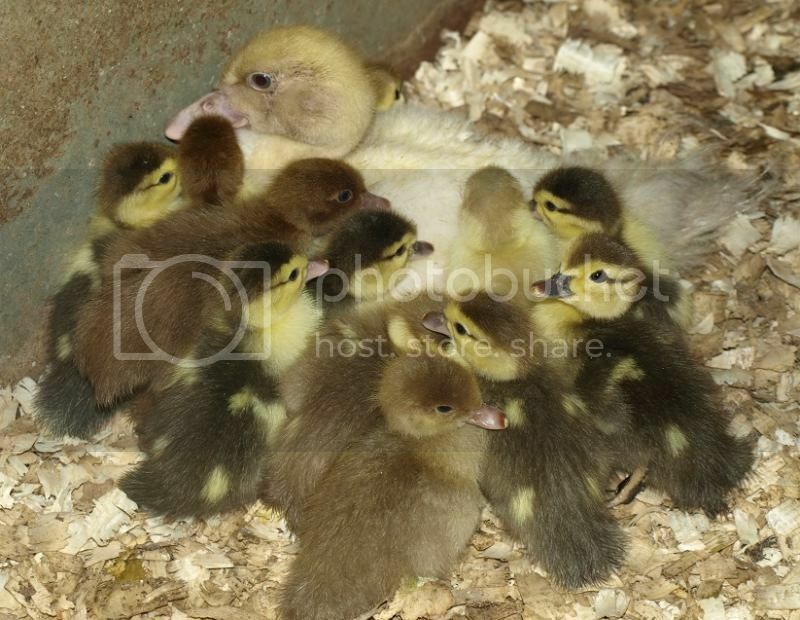 The next duckling over is the usual colouration I see in my ducklings, the dark wings with just a few spots on the back and the face mask, or they are solid colours with just some lighter areas on the chest and head as you can see in the pic below. Any ideas if these yellow winged guys might end up solid colours, or will they have white patches? Just seems odd to me that white markings could come from solid parents.